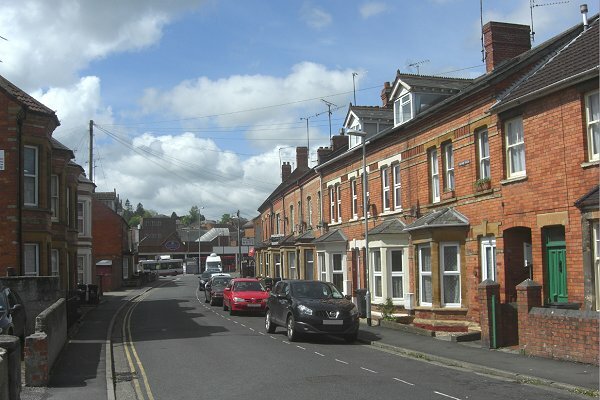 Oxford Villas, at the northeast end of Earle Street, is a short terrace of houses built in bright red Yeovil bricks by William Tucker in the 1890s on orchard land lying between Reckleford and Vicarage Street. Earle Street ran from the junction of Reckleford and Wyndham Street in a southwesterly direction before turning 60° to run west as far as Vincent Street, built at the same time. In 1913 Central Road was constructed, running from the bend in Earle Street to Middle Street. The western arm of Earle Street was demolished in the 1970s and 1980s for the development of the bus station and the Quedam project. Only the eastern part, including Oxford Villas, remains today. 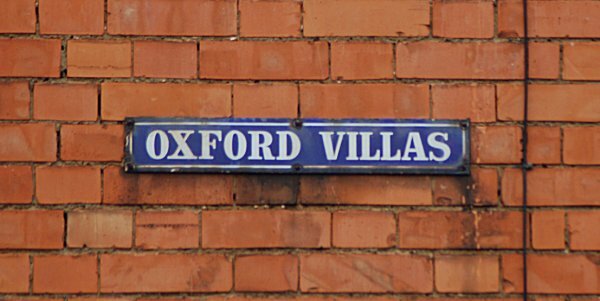 One nice feature of Oxford Villas, is the enameled sign affixed to one of the houses and photographed below. As far as I am aware it is unique in Yeovil - if you know of another, please let me know. 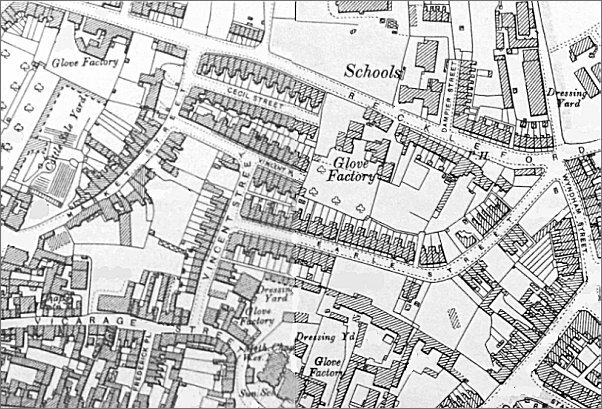 Map based on the 1901 Ordnance Survey showing Earle Street. Oxford Villas are seen as a run of six houses on the northern side of the road at its eastern end. Oxford Villas at right, the surviving part of Earle Street today, looking towards the bus station. Photographed 2013. The lovely enameled 'Oxford Villas' sign - unique (?) in Yeovil. Photographed in 2014.